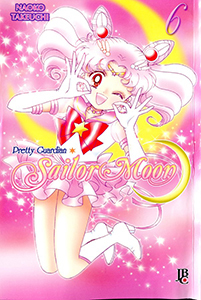 Miss Dream » Blog » Brazilian-Portuguese Sailor Moon Postings Continue! Welcome back everyone! I’m sorry that there was no update last week. A perfect storm of being sick, moving, and work kicking into a higher gear (re: audit season plus unpaused projects equals tons of fun!) resulted in me not even being able to reach out for anyone else to get the update online, much less getting it done myself. Thankfully I got over my illness in time for the move which was carried out successfully, and can get things going back here. As a result, we’re combining last week and this week’s updates into one! Before jumping into the new content, I was informed by Padriac85 via Twitter that the current Portuguese Shinsouban postings are Brazilian-Portuguese (thanks again!). I was hoping to fix these mentions through the site before this update, but was unable to do so. Sometime this month that will be done, for now these update posts will have the proper mentioning as I work to make this fix seamless for all. With that all said, this week we are continuing our postings of the Brazilian-Portuguese Shinsouban manga releases. We are happy to bring to you the next four volumes of Sailor Moon! Our garage sale is still ongoing, and fully back online following our move! We have buy one get two free on all magazines! We also started a penny sale for everything we have that has been taken apart (labeled as “unbound” throughout), just pay a penny and shipping! Check out the garage sale for some awesome content, some of which have yet to be posted on the site! They may sell faster than you think!